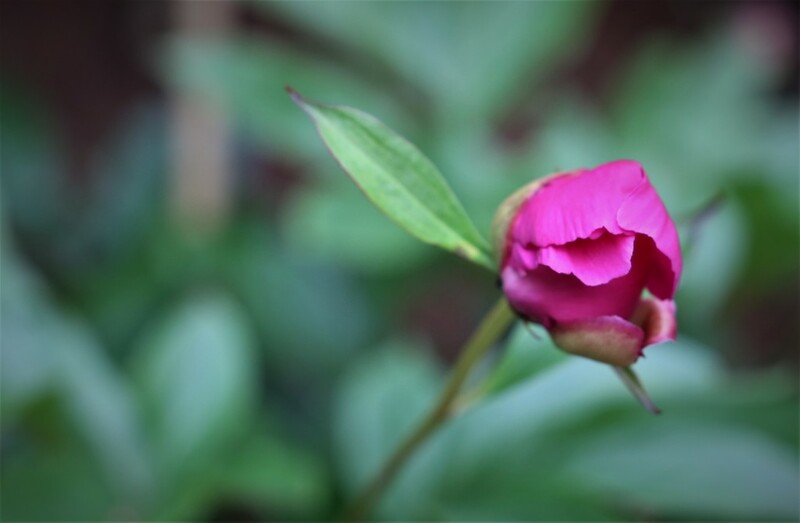 My one and only Peony. Couldn't tell you where it came from, I certainly don't recall buying it; it sits in the small bed near the patio where I grow Dahlias. I do have some seeds that I bought last year, but I think I've missed planting them out for this year. They are so beautiful, you should have some more. Lovely shot. Beautiful color. What a nice surprise. Lovely focus on this bud! I like the background too! Beautifully captured, it looks so delicate.